Type and Characteristics: Diesel-electric cutter, one of seven Wind-class, AG-88 (USN, 1946), AGB-1 (USN, 1949), WAGB-283 (USCG, 1966), built by Western Pipe & Steel Co., Los Angeles, CA at cost of $9,880,000, launched 30 April 1946, commissioned in USN 28 December 1946, in USCG 15 December 1966, 6,515 tons displacement full load, 269ft long x 63ft beam x 25ft 9in draft, 13.4kts, no armament, helicopter flight deck, c220 crew. Log Period and Areas of Service: 1946-78, Antarctic, Arctic, points in between. 17 January 1947 - Sailed with supplies from San Diego to Ross Sea, Antarctica to meet ships of Task Force 68 for First Antarctic Development project. 25 July 1947 - After returning from Antarctica, sailed to Alaska for Point Barrow expedition. April 1948-December 1966 - Took part in 19 Arctic and Alaskan cruises. 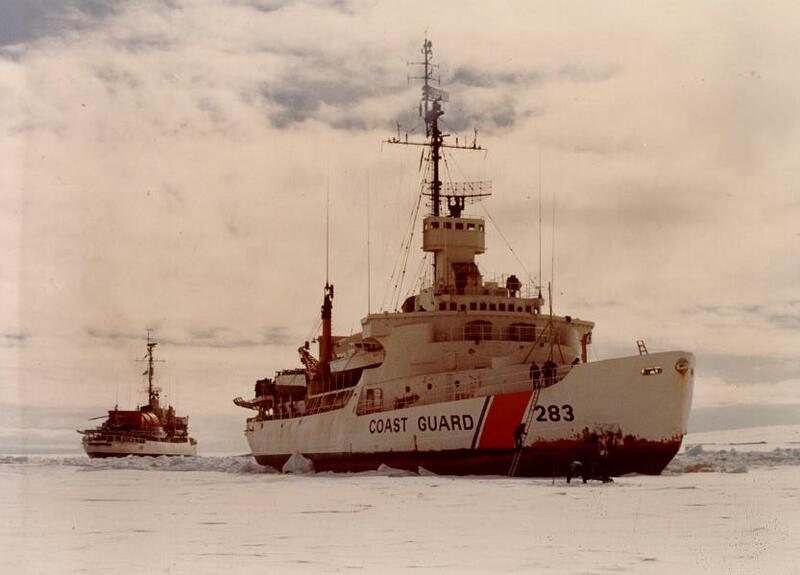 Duties included supply activities, helicopter reconnaissance of ice flows, scientific surveys, underwater demolition surveys and convoy exercises. 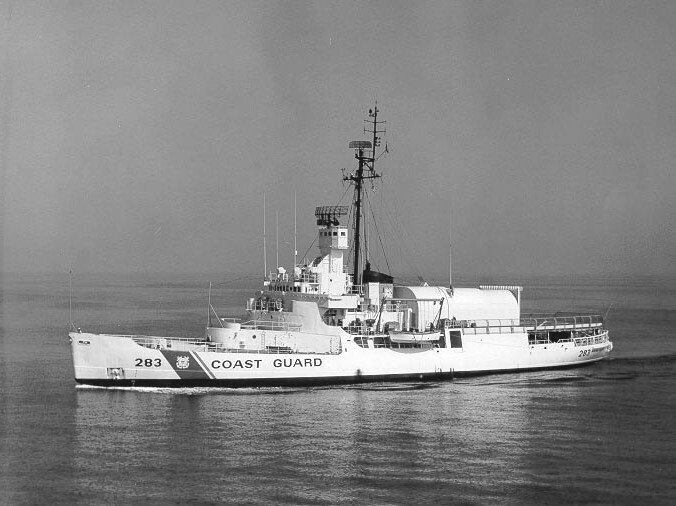 15 December 1966 - Transferred from Navy to Coast Guard, stationed at Long Beach. 1967-78 - Took part in eight Deep Freeze operations during the Antarctic summers - around October to April, of 1967/68, 68/69, 69/70, 70/71, 72/73, 74/75, 75/76, 76/77, 77/78. Duties included installing and maintaining aids to navigation, and clearing channels through the ice for supply vessels. August-September 1971 - Oceanographic survey of North Slope, Alaska. February-March 1972 - Scientific survey of Cook Inlet, Alaska. June-July 1973 - Oceanographic research in Alaskan waters. July-September 1976 - Arctic cruise. December 1976 - During Deep Freeze '77, carried out SAR missions off Wellington, New Zealand following a torrential downpour. 9 July-8 September 1977 - Arctic cruise. Mid 1977-May 1978 - Stationed at Alameda, CA. Fate: Decommissioned 9 May 1978, sold 17 August 1980 in California for scrap, broken up 1982.